"Hello! We are a 5 piece rock band that was formed 5 months ago. We are currently writing our EP at this moment but we have done live shows by covering songs." 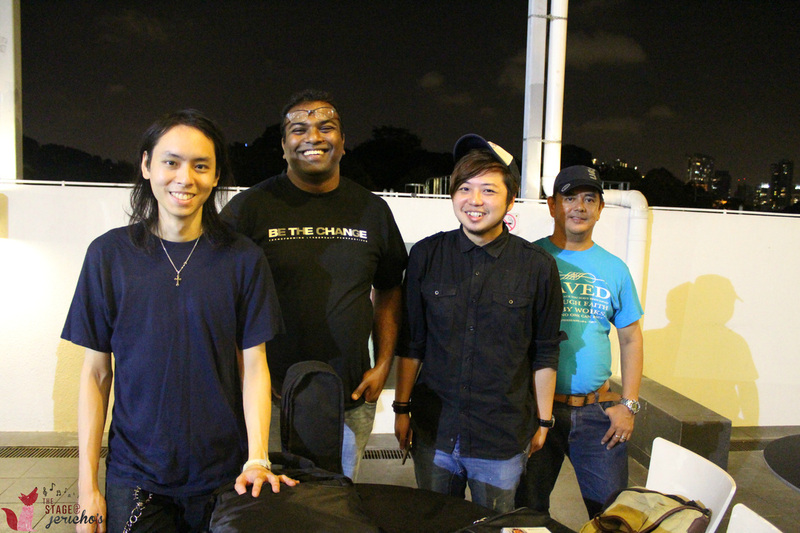 They have previously performed at Hardrock Cafe Singapore on a few occasions as well as at The Temasek Polytechnic's Reunion Dinner in April this year. They hope to gain more exposure through this experience and hope that local talented bands would gain more recognition and eventually go international! 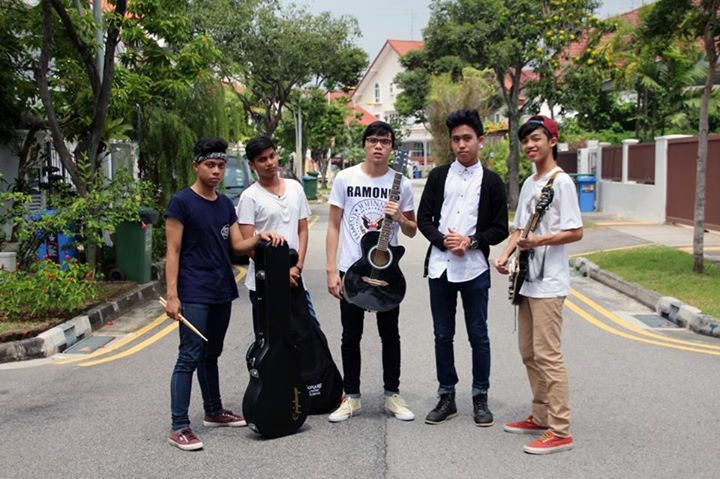 "We're a band consisting of Temasek Hall Residences, thus the name THreshold (TH)! 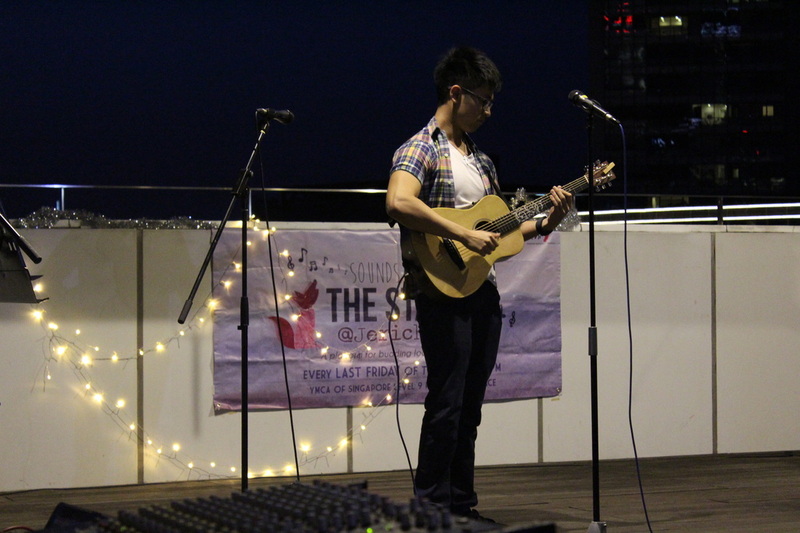 We are a big family of music lovers who want to spread our passion for performing to our hall community, the NUS community as well as the public." This month, we have Chan Ting Yi, Kelvin Quek, Niki Lee and Ong Ding Liang from THreshold to perform for us. 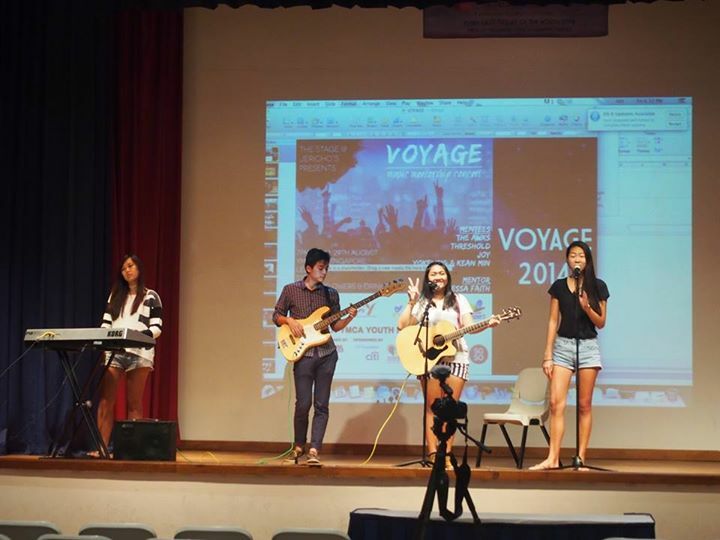 They have also performed at our event: VOYAGE last year. We can't wait to have this talented group of individuals back on our stage! Don't miss it! Ted a solo singer who wants to experience and to gain more confidence when performing. In his previous performance at The Stage @ Jericho's, Ted shared that Ed Sheeran is his inspiration. He said that the opportunity to perform in front of a live audience was a huge step for him to overcome his fear and boost his confidence as he shared his music with the crowd. Joy was also a mentee in our music mentorship event: VOYAGE last year. 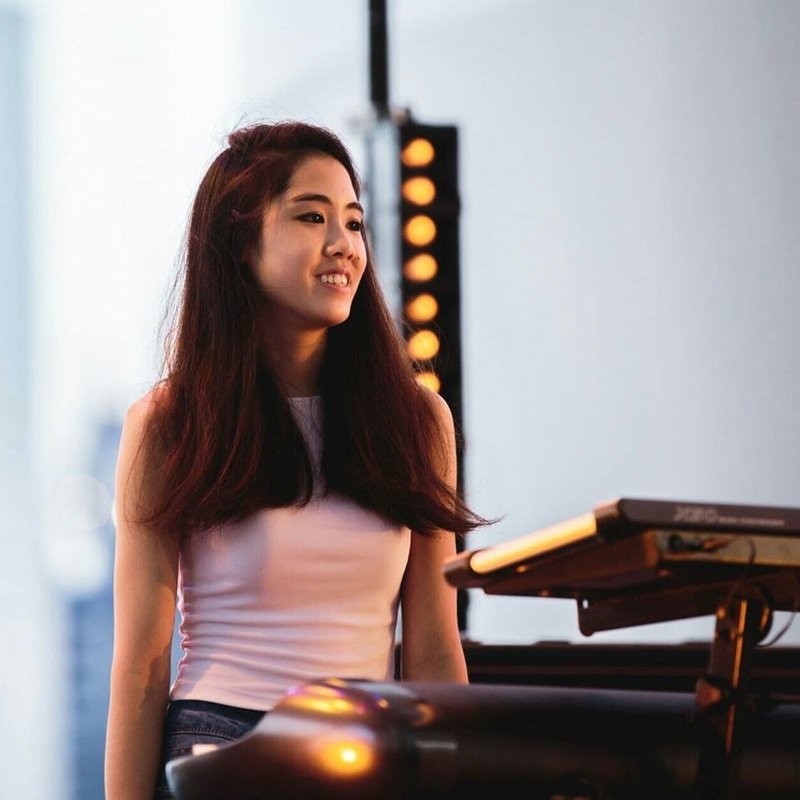 If you would like to hear more from her, do check her out over at https://soundcloud.com/jooy-heng/! She has some of her originals, as well as covers up on her sound cloud! "We want to spread our music to everyone, and hopefully get our songs heard by some famous person who wants our song in his/her movie. No. We want to share what we have created, because we are proud our music, and we know you'll enjoy our music too." Reverse Christian Rock Band was formed in the year 2009 and being shaped and molded by God through the years. The purpose of the band is to reach out to the nation and neighbors. As a mission focused band, they plan to mobilize with 2 approaches that God has burdened out heart with. Gain access in to city lives, individuals and families. To be touched by the truth, understand and accept Christ. Mobilize Christian professionals to reach out the nations, Families to reach out to their neighbors. They believe that GOD is going to reverse the entire world and create a new heaven and New Earth one day. There is the Hope and faith we live on. The music they create is focused on redemption of Mankind.The promise that every human born in this world desires. To have a wonderful union with our creator. [ Rev 21:1 ]. "We believe there will come a time in future where peace will reign this world. The music we play is to give hope to the hopeless." "We don't just sing a song or stage a performance, we connect with the audience heart to heart.Performing is a form of connection, connection with your audience. 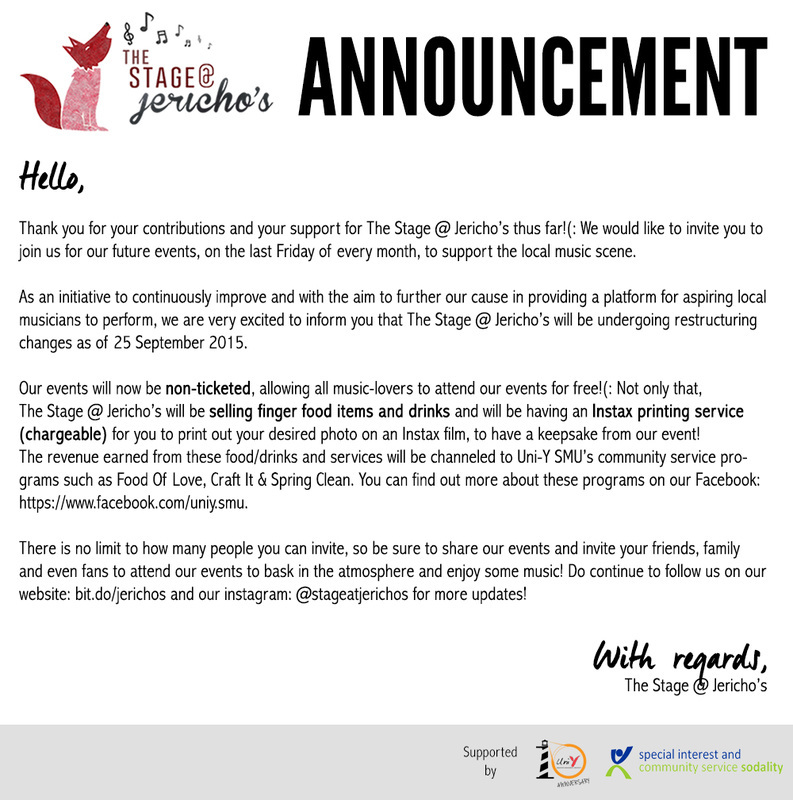 The Stage @ Jericho gives a opportunity for us to form connections, to pour our soul, and express ourselves in way that words cannot express. " JR performed Chinese pop songs: 楓 by Jay Chou, ❤ 愛我別走 (above) and an original, 當初. Hyuk Kee a Korean who claims to be a Singaporean at heart! He wow-ed the crowds just by performing 2 songs, Thinking out Loud(above) and Your Body is a Wonderland.